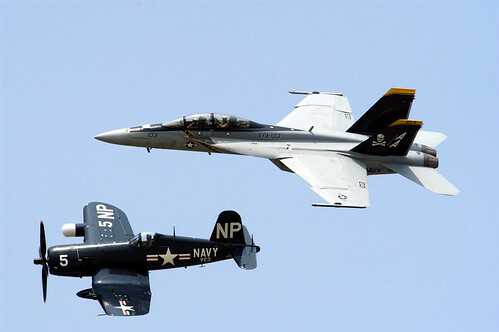 The United States Navy Legacy Flight program was established in 1999. 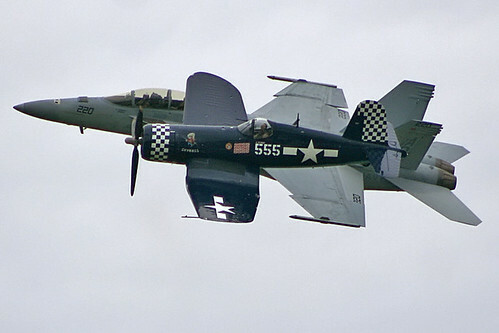 It involves today's state-of-the-art fighters flying in close formation with World War II, Korean War and Vietnam vintage Navy and Marine Corps fighters such as the F6F Hellcat and the North American Fury. Its mission is to safely and proudly display the evolution of United States Naval airpower and to support the Navy and Marine Corps’ recruiting and retention efforts. 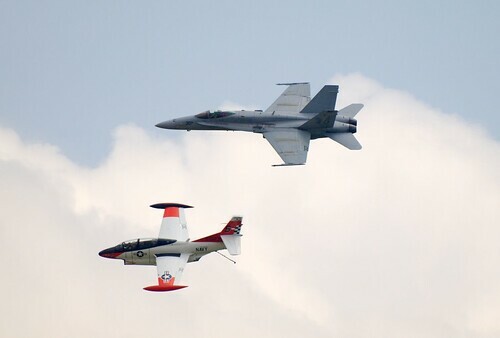 The services have determined that their recruiting efforts are enhanced by having fly-bys at air shows with vintage naval warbirds and F-18 aircraft. Commander-Naval Air Forces, working with Chief-Naval Recruiting work together to determine funding, tasking and assignment of assets. 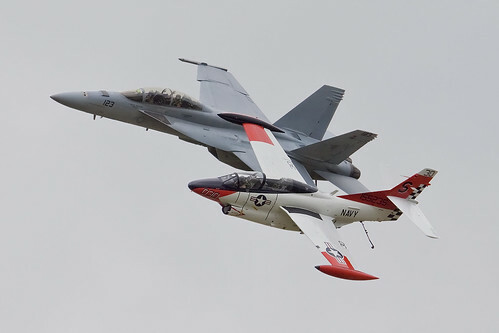 For USN assets, TAC DEMO aircraft and pilots are supplied by the various F-18 fighter/strike wings. The vintage warbird USN/USMC aircraft and pilots are provided by their civilian owners. The warbirds participation is only partially funded. Thus, there will be more air shows than funds, and many efforts will depend on voluntary un-funded appearances by the warbirds and the generosity of the public.